Alborosie, the Italian and now Jamaican artist comes with a very honest release. 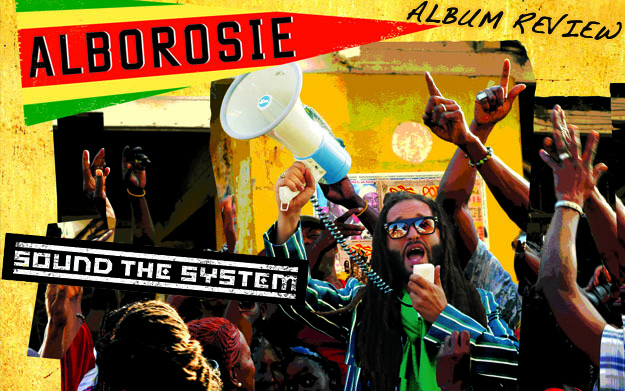 Produced and recorded entirely by himself, including nearly all of the instrumentation, he takes no shortcuts, pursuing his passion for vintage recording techniques, combining it with genuine scholarly knowledge of reggae and matching it with his own mission as an artist, a Rastaman and a citizen of both Jamaica and the world. The intro to the album is a spoken word message delivered by a Rasta elder, and it sets the tone for a record that doesn’t waste any time, it reaches out to fellow artists, asking them to be true to the genre and be themselves. The lead tune, Play Fool to Catch Wise reflects Albo’s life in Jamaica, absorbing the parables that people often speak there along with the rhyme, “ghetto youth element of surprise”. As in, don’t try to be beyond reproach, but stay fresh, shine bright, don’t join the ranks of those “running from police”. The poetry here sums up his experience with the system in Jamaica and abroad and his message for its ghetto youth, “Time to follow righteousness, get a meditation, some youth just left behind, just stay on Satan’s medication. Good over evil is the final confrontation, look forward for a global emancipation”. Taking it a step further, he notes what type of discrepancies exist for the poor when it comes to basic needs, injecting some Italian culinary class distinction here with, “Politicians set it, poor people regret it, poor people dumplings but a Minister spaghetti.”. A rare opportunity to cover Bob Marley & The Wailers is presented when Alborosie teams up with Ky-Mani Marley to record Zion Train, an apropos cover for him as he sees reggae as a mission, and encourages us all to play a part in its success. Another rare combination is with Nina Zilli, an Italian pop artist that reflects the classic sound of vintage pop in Italy, here Albo and blends it reggae style to produce a lovely Goodbye.